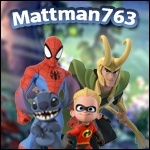 Disney Infinity Fans • View topic - My remake of the Disney Infinity 2.0 Maleficent trailer! 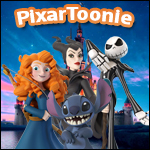 My remake of the Disney Infinity 2.0 Maleficent trailer! Re: My remake of the Disney Infinity 2.0 Maleficent trailer! That. Was. Awesome. Great work (I really liked how it looked like Maleficent was sending out all of those enemies to fight the rest of the disney characters)! We need dogs in infinity! Doug, Bolt, and Pluto would be awesome! That was great! You should keep making these, I will definetly subscribe!